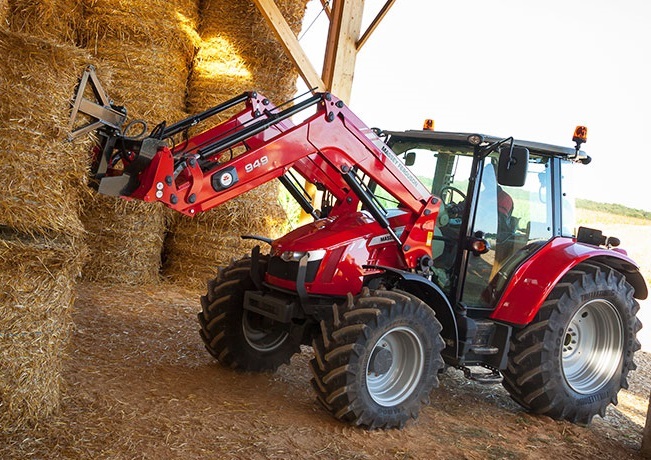 The Massey Ferguson 5600 Series sets the sector benchmark for engine power and torque. They provide excellent manoeuvrability for hard work in the yard and in the field or on the road – a versatile all-rounder. 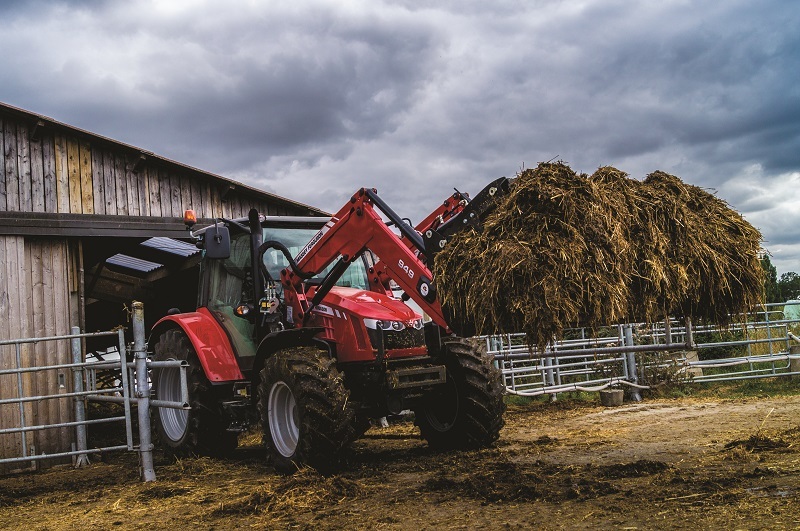 The Massey Ferguson 5600 series tractor is the ultimate loader tractor, having been designed specifically to provide optimum handling ability with the MF900 series loaders in mind. The perfect combination – both are fully integrated at the factory to deliver ultimate performance. 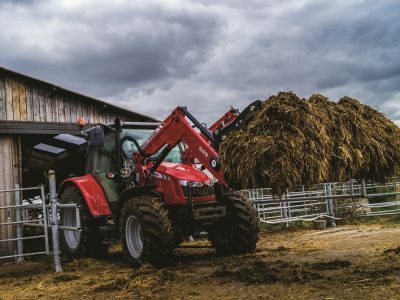 A host of dedicated design features make the MF 5600 series tractor the best in class loader tractors – bar none. 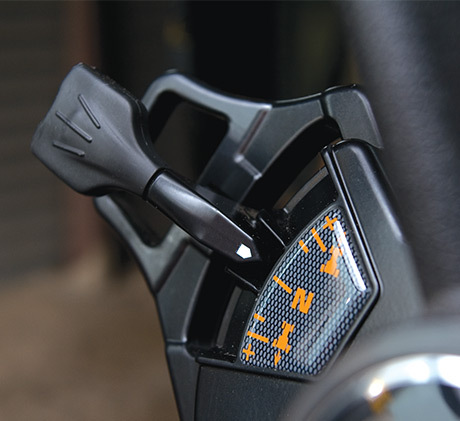 The simple, multi-function, left-hand Power Control lever enables convenient and straightforward operation. It provides forward/ reverse shuttle, powershift and range changes and fingertip de-clutching, leaving the right hand free to operate the leader or rear implements. A high-visibility bonnet is the trademark of a good tractor, giving excellent views of the loader, implement and operation. 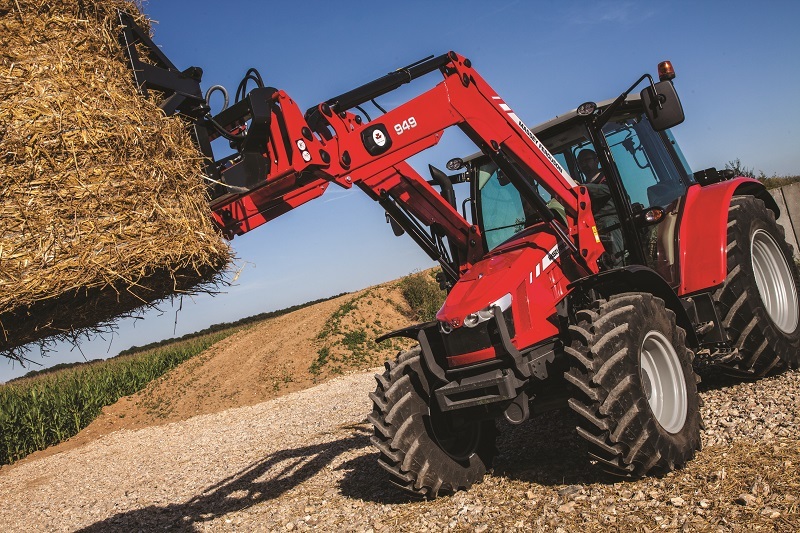 The 5600 series tractor offers the highest visibility thanks to the overall design. The bonnet, slimline dashboard and cab structure ensure all round, unimpeded views. 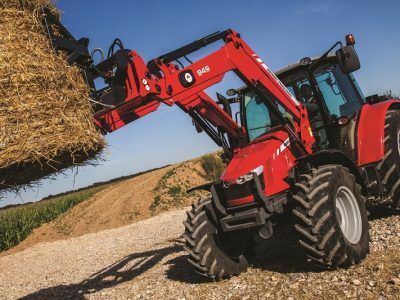 The close coupled front linkage design means that the tractor is compact, which aids stability and manoeuvrability, particularly when working on hillsides.